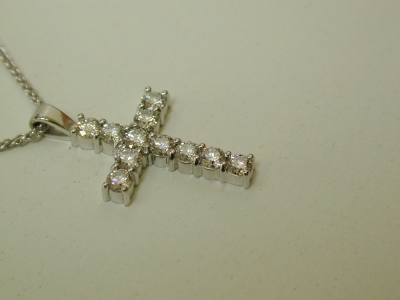 18ct white gold cross with chain. 11 round diamonds with a total weight of 1ct. All of our jewellery is hand made in New Zealand.